Bromelain is a crude extract from the pineapple that contains, among other components, various closely related proteinases, demonstrating, in vitro and in vivo, antiedematous, antiinflammatory, antithrombotic and fibrinolytic activities. The active factors involved are biochemically characterized only in part. Due to its efficacy after oral administration, its safety and lack of undesired side effects, bromelain has earned growing acceptance and compliance among patients as a phytotherapeutical drug. A wide range of therapeutic benefits has been claimed for bromelain, such as reversible inhibition of platelet aggregation, angina pectoris, bronchitis, sinusitis, surgical traumas, thrombophlebitis, pyelonephritis and enhanced absorption of drugs, particularly of antibiotics. Biochemical experiments indicate that these pharmacological properties depend on the proteolytic activity only partly, suggesting the presence of nonprotein factors in bromelain. 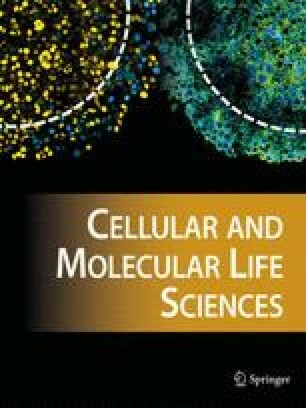 Recent results from preclinical and pharmacological studies recommend bromelain as an orally given drug for complementary tumor therapy: bromelain acts as an immunomodulator by raising the impaired immunocytotoxicity of monocytes against tumor cells from patients and by inducing the production of distinct cytokines such as tumor necrosis factor-α, interleukin (Il)-1β, Il-6, and Il-8. In a recent clinical study with mammary tumor patients, these findings could be partially confirmed. Especially promising are reports on animal experiments claiming an antimetastatic efficacy and inhibition of metastasis-associated platelet aggregation as well as inhibition of growth and invasiveness of tumor cells. Apparently, the antiinvasive activity does not depend on the proteolytic activity. This is also true for bromelain effects on the modulation of immune functions, its potential to eliminate burn debris and to accelerate wound healing. Whether bromelain will gain wide acceptance as a drug that inhibits platelet aggregation, is antimetastatic and facilitates skin debridement, among other indications, will be determined by further clinical trials. The claim that bromelain cannot be effective after oral administration is definitely refuted at this time. Key words. Bromelain; proteinases; antiinflammation; edema prevention and destruction; fibrinolysis; thrombosis and metastasis prophylaxis; immunomodulation; skin debridement; complementary tumor therapy.